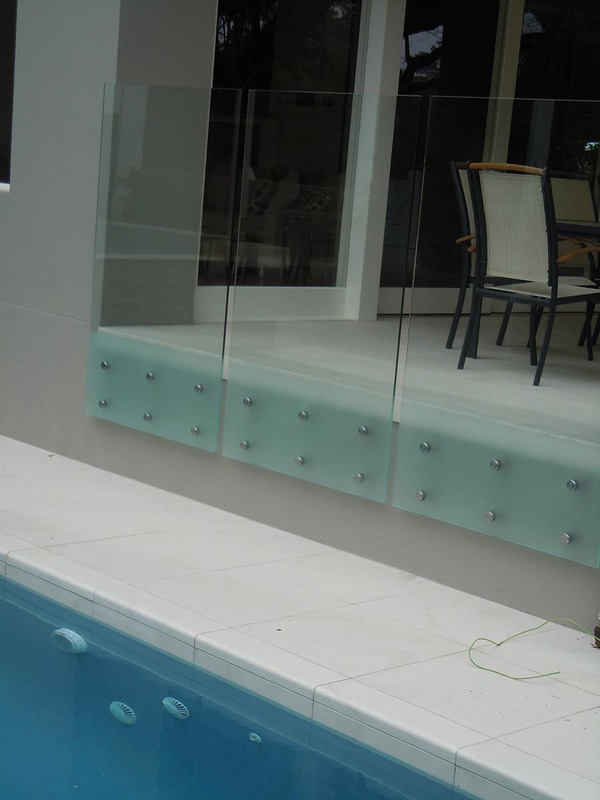 The X1 Series point fixed frameless glass balustrade/pool fence system is designed to fix to the face of the deck or stair stringer structure, with stainless steel point fix standoffs, without the use of any stanchions. It can be fixed to a concrete slab edge with a minimum depth of 240mm, masonry, timber framing or steel beams. This system is suitable for use on pool fences or any balustrade not protecting a fall greater than 1m. An interlinking handrail is required for all balustrades protecting a fall greater than 1m. System: THUMP ARCHITECTURAL FITTINGS ‘X1 Series’ – with pin fixed X1PF fittings with toughened glass glazed infill panels. 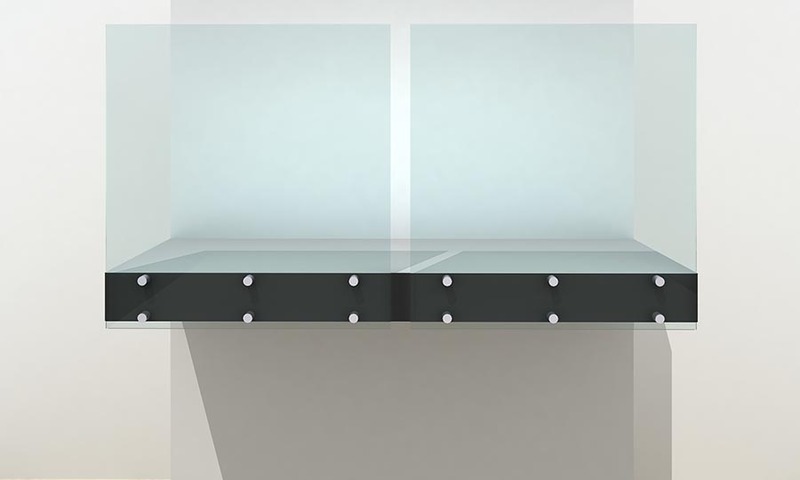 Infills: 12mm minimum thick (subject to project specific Thump engineering) Grade A toughened clear safety glass 1500mm maximum width with heights AFFL and spacings as per drawings and manufacturers recommendations. 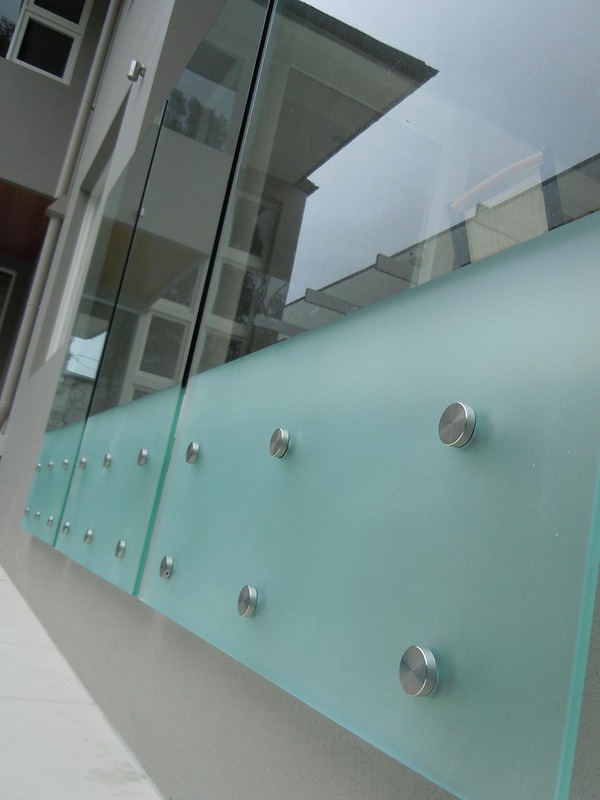 Pre-drill glass for brackets to supports and handrails and finish glass with smooth corners and edges to meet NCC requirements. If the top of the glass is over 5 metres above the ground below then it must also be “heat soaked”. Supports: Stainless steel pin supports sized by manufacturers engineer to each glass panel and fascia fixed to substructure.